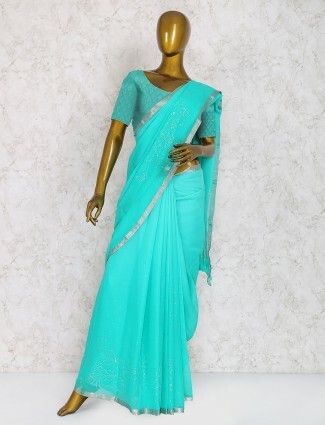 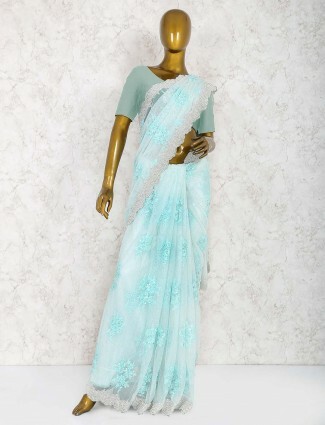 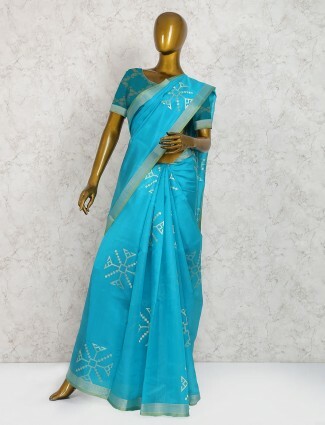 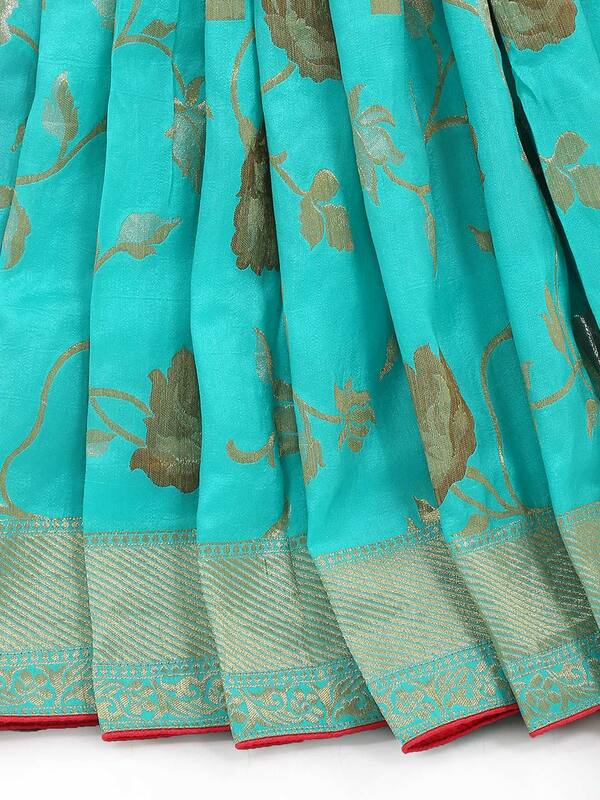 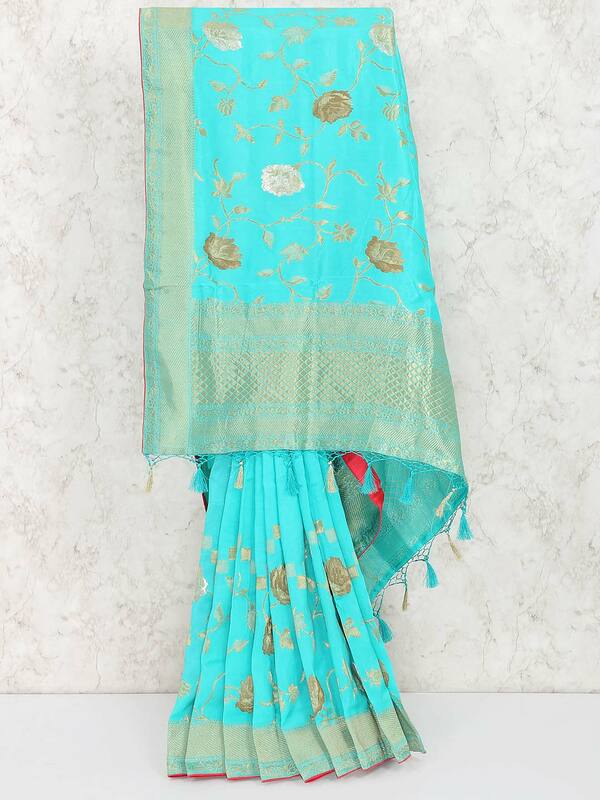 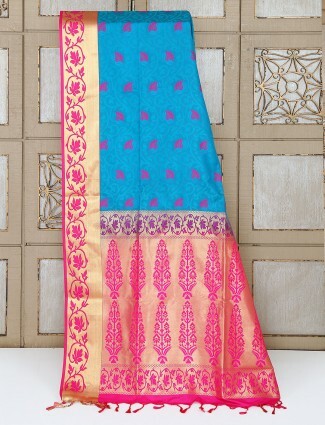 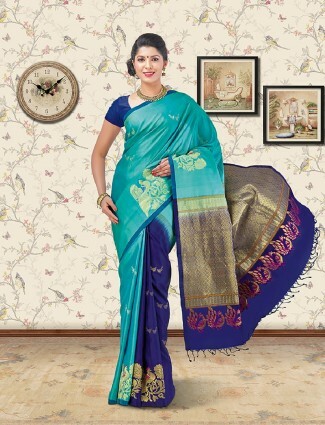 This gorgeous aqua hue muga silk saree is a great piece to wear in festive occasion. 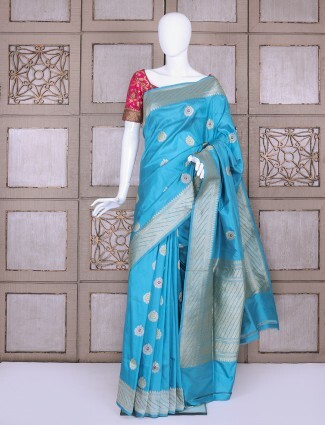 Beautify with zari weaving all over all. 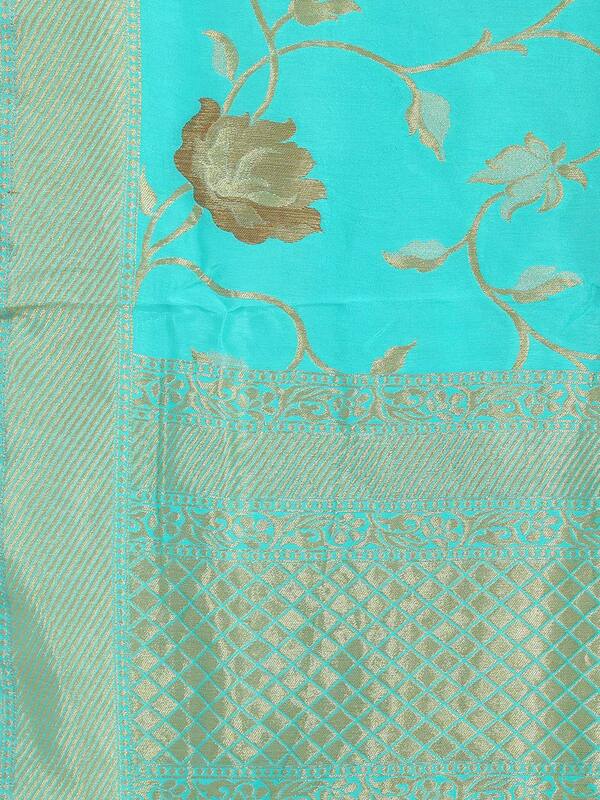 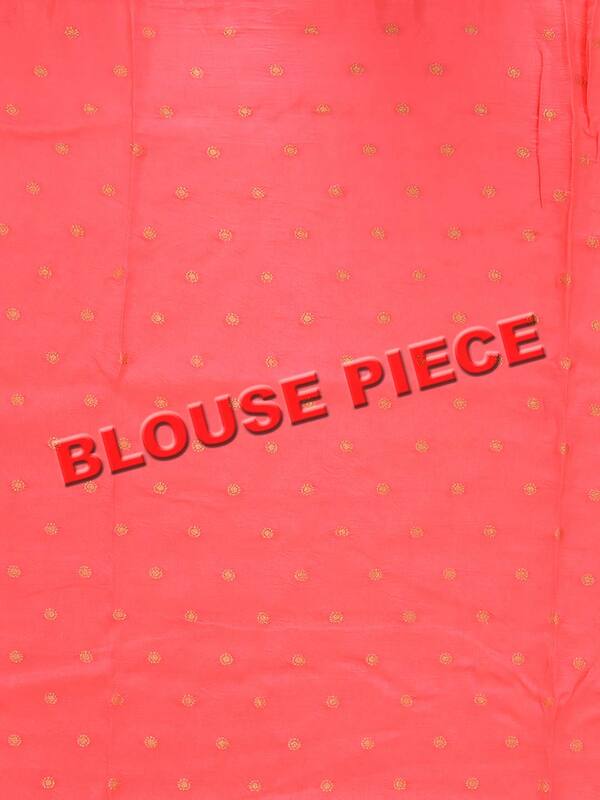 It comes with unstitched blouse piece.